At the halfway point in Hangzhou, the group visited Geely’s headquarters and toured the Geely Experience Centre, where they went up close with the Binyue SUV, Jiaji MPV, Borui sedan and Lynk & Co models. They put a few nights in Hangzhou to explore the city while their cars are being serviced. The post Malaysia-China Amazing Trip: Proton X70 convoy in Hangzhou, to make 7,000-km journey back to KL appeared first on Paul Tan's Automotive News. 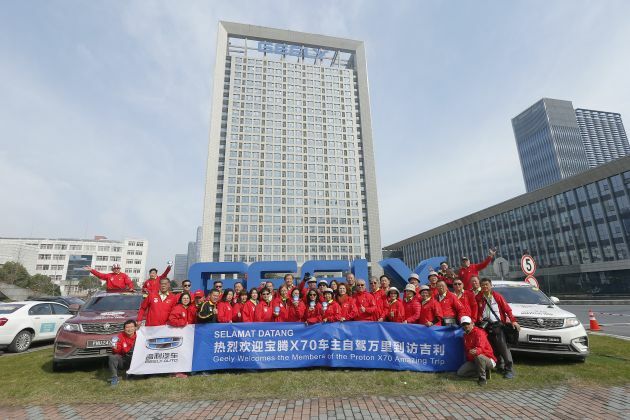 0 Response to "Malaysia-China Amazing Trip: Proton X70 convoy in Hangzhou, to make 7,000-km journey back to KL"